Weeks before Santa Claus laces up his boots to try and outperform Amazon, Mr. Claus may be in for his #MeToo moment at the hands of one Nancy Grace. Well, at least on this new podcast. “The First Mrs. Claus” is an upcoming four-part scripted musical-comedy podcast that follows journalist Nancy Grace (playing herself) as she uncovers the “shocking, disturbing” dark secrets of the North Pole. The podcast opens with Grace recounting the trial of Mrs. Claus (Michelle Visage), real name is Hot Coco, who is being tried for the murder of her boyfriend Ari (Lewis Black), also known as Santa. “As the case unfolds listeners learn that the premise of Christmas isn’t about that big jolly guy in the red suit, a workshop full of elves, a sleigh pulled by reindeer, and his ever-dutiful wife standing off to the side making gingerbread. No, in fact, everything we’ve been told is a total lie,” The Paragon Collective, the podcast network behind the show, said in a statement. As the story unfolds, listeners will learn of Ari’s plot to take all the credit away from Hot Coco, who actually came up with the idea for Santa herself. Other secrets will arise, including Ari’s escapades with a new lover named Carol (Kristin Chenoweth). “The First Mrs. Claus” premieres Tuesday, Dec. 4. 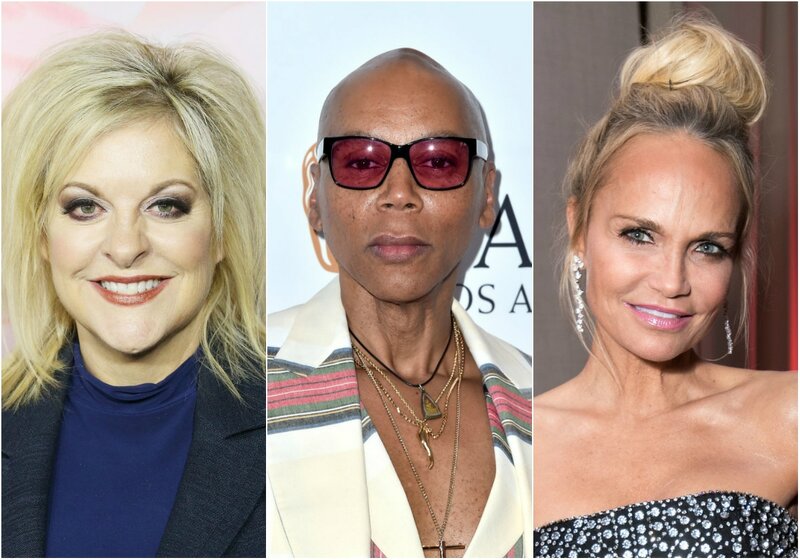 In addition to Grace, Visage and Black, the podcast will also feature the voices of RuPaul, Katie Siegel and Josh Peck, among others. The podcast was created, written, composed and directed by Alex Aldea and Michael Ross. New episodes will drop every Tuesday until Christmas.